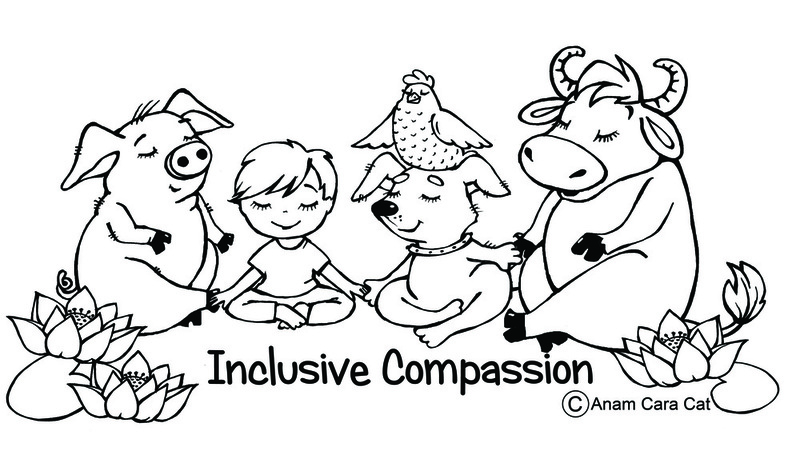 Inclusive Compassion is a concept worthy of infinite attention. 50% of profits are pledged to animal sanctuaries. Vegan Love. Friends not food. Ahimsa.